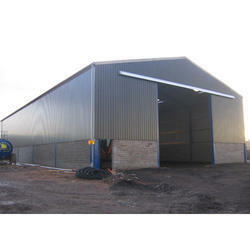 We are renowned firm developing widely demanded Fabricated Structure. Featuring modern looking design standards and assurance of long lasting performance, the offered pre-fabricated structures gained us wide recognition. We are utilising the best-suited inventory of raw materials to fabricate the precisely designed components and panels for these structures. We have developed the next generation work setup, where we implement high-speed machines to manufacture the precisely developed structures. Looking for Fabricated Structure ?